Not only do kosher animals not suffer during ritual slaughter, they do not even experience emotional discomfort before the act, and have absolutely no sense of their impending deaths. There is a difference between kosher and non-kosher animals. A study conducted in 1961 demonstrated that horses, dogs, and other animals resist being brought into slaughterhouses because they sense their approaching death. They become agitated, and may even kick and fight until they are killed. In kosher slaughterhouses, this phenomenon is almost non-existent. 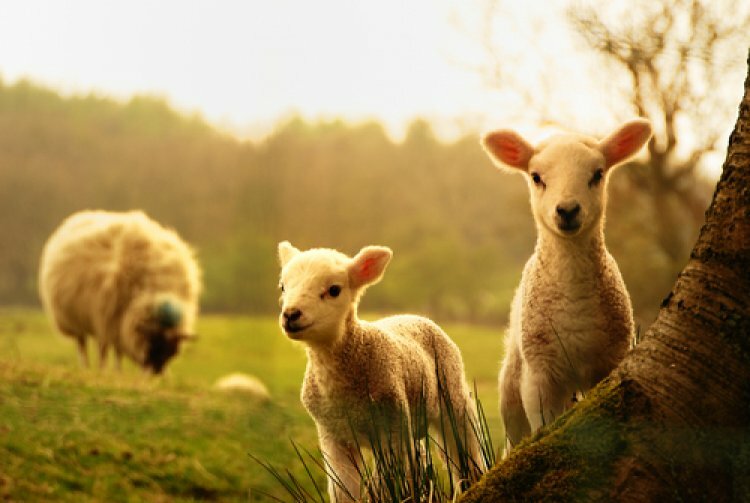 For example, lambs present at the slaughter of other lambs do not show signs of fear. A calf allowed to roam freely during a period of Shechita did not attempt to run away, even though the door of the slaughterhouse remained wide open. In addition, cud-chewing animals will cease to ruminate when they are under stress. However, cows in a Jewish slaughterhouse may even sit and ruminate while members of their own species are being slaughtered around them. Details of that study can be found in the book Shechita and Animal Suffering. It is also explained there that while a slaughtering knife can engender fear in a human being, who understands its use and function, animals do not understand the significance of a knife, and therefore do not fear it prior to slaughter. This logical conclusion was verified when a knife dipped in blood was shown to cattle. Not only did they fail to react to it, but one even licked the blood off the blade. This indicates that not only do kosher animals not suffer during ritual slaughter, they do not even experience emotional discomfort before the act, and have absolutely no sense of their impending deaths. Still, since there is always the possibility that one of such animals will be more sensitive than the others, Jewish law forbids killing an animal in the presence of another, in order to prevent even the slightest chance of suffering to the one remaining alive. It is also worth noting the medical opinion of Dr. Temple Grandin, a worldwide expert on proper livestock handling, who has developed various techniques to decrease animal suffering both on ranches and in the slaughterhouse. Dr. Grandin claims that the major suffering incurred by animals in the slaughterhouse is not in the moment they are killed, but rather their improper handling from the moment they arrive until their deaths. According to her findings, if cattle are handled properly, they reach the point of slaughter relaxed and well behaved. Since, in the case of Shechita, the actual slaughter is painless, it is clear that proper handling erases the only other chance for animal suffering to take place.